Have you been struggling to lose excess fat despite working out and eating well? If you are considering liposuction, but are afraid of the risks of surgery, SmartLipo laser liposuction at our Pittsburgh, PA, practice may be right for you! It is usually completed in 1 to 2 hours. The usual recovery time is 1-2 weeks. You will see results in several weeks or months after the procedure. ReNova Plastic Surgery offers the revolutionary Smartlipo procedure right in the comfort of our surgery center. Smartlipo is generally best suited for patients who are healthy and not significantly overweight but still looking to reduce fat and tighten their problem areas. Laser liposuction can permanently reduce fat on the neck, jawline, arms, abdomen, thighs, knees, and any other area that holds excess fat. This procedure is minimally-invasive. The LASER energy targets directly to fat cells which help to liquefy the cells while at the same time stimulating collagen production to the surrounding skin. 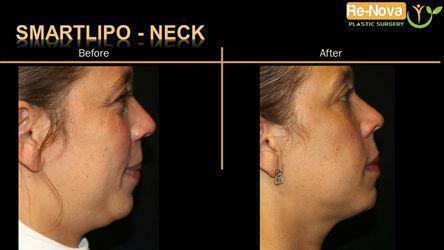 This not only reduces the fat stores in problem areas, but also allows for the skin to tighten and rejuvenate. The recovery may take 1-2 weeks. However, It will take up to 6 weeks to go back to normal physical activity. Swelling will be significant at the beginning. However, it is important to note that the best results will be seen three to six months following the procedure as more collagen has been produced. Some patients may experience minimal trauma and bruising. Trust your SmartLipo Triplex procedure to the best-reviewed plastic surgeon in Pittsburgh. If you want to sculpt your body and remove stubborn fat deposits without undergoing surgery, Dr. Julio Clavijo-Alvarez at ReNova Plastic Surgery offers a minimally invasive body contouring procedure with Smart Lipo laser liposuction. 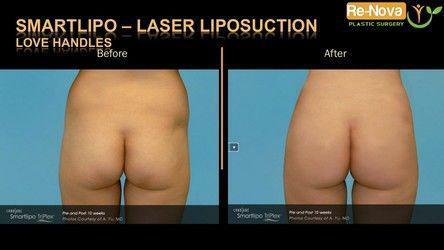 SmartLipo Triplex is the latest cutting edge technology for LASER liposuction. Different from old LASER equipment, SmartLipo Triplex delivers 3 LASER wavelengths facilitating the bleeding control, the fat contouring and tightening the skin. The bottom line is a better result with less side effects and quicker recovery. 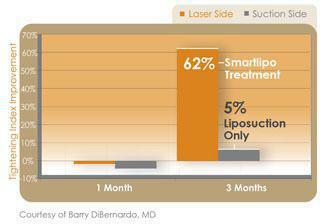 What is NEW with the technology within SmartLipo Triplex? 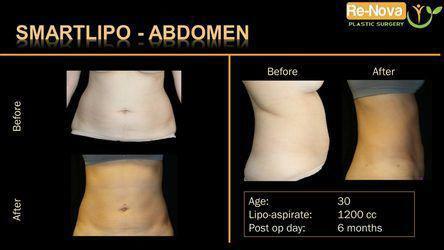 SmartLipo Triplex is done in Our office surgical facility. It is done under Local and Tumescent anesthesia. The duration of the procedure is about 1 to 2 hours depending on how many areas are addressed. 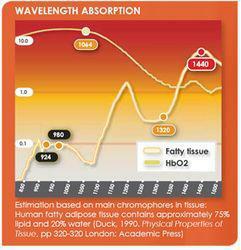 It is done as an outpatient procedure if the quantity of fat deposits that are removed add less than 3 liters. Can I plan on doing the surgery 1 week prior to my 25th-year reunion? Definitively NOT. SmartLipo Triplex is a very well tolerated procedure. However, it will leave bruising and swelling that will be present for 1 or 2 weeks. Plan ahead if you are planning on this surgery. The answer is NO. When doing your LASER Liposuction we will use absorbable stitches. Despite the use of ointments and massage, we will need to remove some of the remaining stitches that did not fall or disappear. How is the post op recovery? All procedures carry risks. 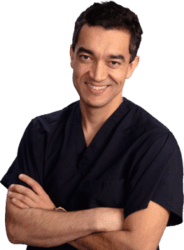 Discuss your options by scheduling a consult to meet with Dr. Julio Clavijo-Alvarez today!